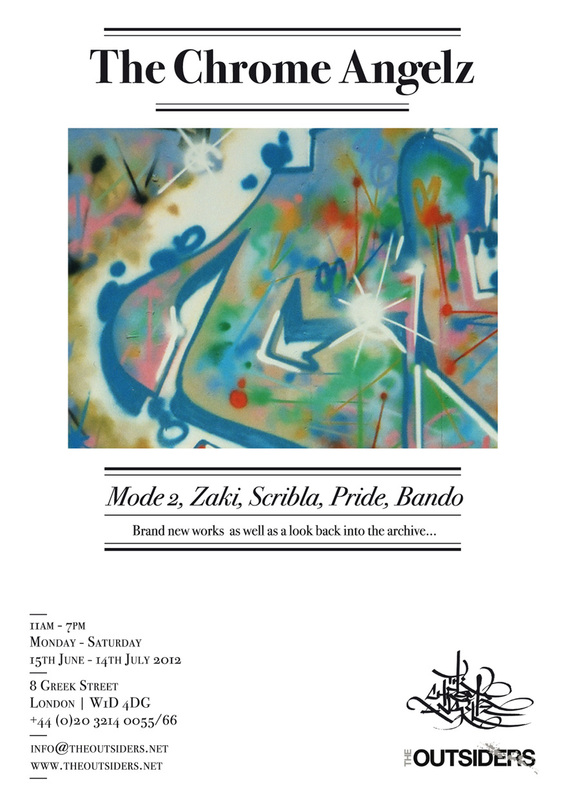 Just a quick one to let you know that Bando, Pride, Scribla, Zaki and I will be showing some old and new work at the Outsiders gallery Greek Street, Soho, London, from the 15th of June until the 14th of July. Great stuff… I can pop to this before the 4our Pillars gig! I WONT BE ABLE TO GET THERE. BUT BIG UP TO THE CHROME ANGELZ I THINK YOUR WORK ROCKZ. I know of The Chrome Angelz because of the early days in the 80’s when they had graffitti art at The Royal Opera House in Covent Garden, London. Would have been great to have been there. I did not know the this went down. Hope you had a great time. Check out the Worldwide Walls & Mode2 Tribute in this site!